Raspberry Trim is a weight loss supplement that contains raspberry ketones. Very little is known about the company behind the product, but the Raspberry Trim website provides a US address located at 14603 E. Moncrieff Place Suite 100, Aurora, CO 80011. This sets the alarm bells ringing straight away because a fulfillment center is known to use the same building and there have been numerous complaint made from customers who state they have been “ripped off” on their credit cards. Why is this relevant? Because a number of raspberry ketone products have been linked to a free trial scam where customers are offered a free trial pack, but need to supply their credit card details to cover shipping costs. Customers only discover they have signed up for a continuous billing cycle when large amounts of money are debited against their card. Raspberry Trim seems to operate in a similar manner. US customers ordering a free Raspberry Trim trial can expect to pay around $5 shipping. This is easy to see on the order page, but the small print makes interesting reading. The full cost of the product is $87.21, payable every 30 days. The company behind Raspberry Trim originally made some big promises for their capsules, stating they could provide easy weight loss without any hard work—no changes to diet, no exercise needed, and no side effects. The new homepage contains a little more information and admits results can only be obtained by using the product in conjunction with healthy diet and exercise. But they are still pretty bold in their claims, stating it “may be one of the strongest natural fat-loss solutions available today”. Such claims are easy to make, much harder to prove. Let’s take a look at the formulation. Raspberry Ketones: A naturally occurring component usually sourced from raspberries. Dubbed a “miracle in a bottle” by TV fitness Guru, Dr. Oz, Raspberry ketones are renowned for their fat burning abilities. African Mango: A popular superfruit ingredient that can boost adiponectin (hormone) levels and help regulate fat metabolism. Its use has been credited with weight losses of up to 28 lbs. in 10 weeks. Acai Berries: A natural source of antioxidants, Acai can also reduce cholesterol levels, but there is no clinical evidence to suggest acai is a weight loss provider. Grapefruit Pectin: Included here to provide appetite suppression, but its ability for doing so is far overrated. Grapefruit has a strong reputation for being a detox provider though, so its presence may facilitate the promised flush of toxins—but only if it is included in sufficient amount. Green Tea: A natural and very healthful ingredient that can assist weight loss by firing up the metabolism and encouraging thermogenic fat burning. Resveratrol: A grape extract that is known to be beneficial for the health, but its reputation as a fat burner is totally undeserved and cannot be supported by clinical evidence. The Raspberry Trim website provides no information on the recommended dosage amount or interval. None of the ingredients used are likely to be problematic, but pregnant or breastfeeding mothers should always consult a medical professional before commencing any form of weight management plan. The same advice is offered to anyone who is taking medications or has any existing health issues and/or concerns about product suitability. Raspberry Trim can only be purchased from the Raspberry Trim website, and shipping options are limited to addresses in the US and Canada. Each bottle cost over $87. This is an extortionately high price for an unproven product, and most customers will be unaware of the cost until they see the money has been debited against their card at the end of the initial trial period—so it’s a case of buyer beware! Raspberry Trim contains some good ingredients. Raspberry ketone and green tea are particularly noteworthy, but no inclusion rates are provided, so it is possible the formulation may not pack enough punch to deliver the promised results. The lack of customer feedback is also an issue, but even if we had more faith in the Raspberry Trim blend we still could not endorsee its use. The fact that the company behind the product are so cagey about revealing the true price of the product, and encourage customers to unknowingly sign up for recurring billing, is reason enough for us to reject Raspberry Trim and warn all potential users to seek an alternative Raspberry Ketone brand. Its easy to recommend Raspberry Ketone Plus from Evolution Slimming – UK based by ships to all countries including America, Canada, Australia and Ireland and several mainland European countries. 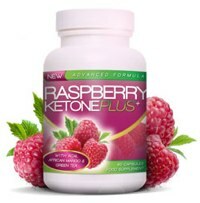 Raspberry Ketone Plus is thought the be the original Raspberry Ketone product.